Here you will find a complete catalog of all Screen Solutions International products! Click a product below to see more information. 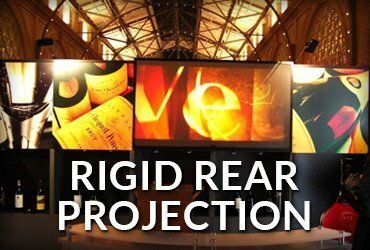 Our projection films offer amazing projection solutions in a variety of formats. 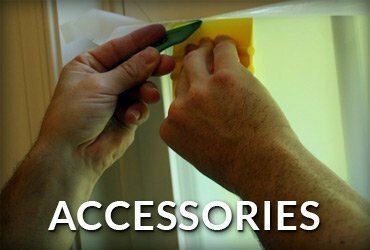 With built in adhesives, the film applies to your window or glass just like a window tint product would. We offer several rear projection film options, as well as front projection film. 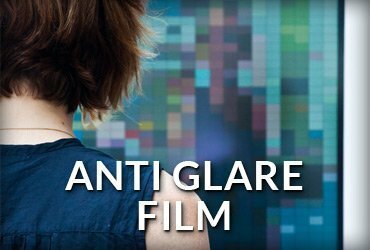 Each film can be ordered in one of our standard sizes, or in by-the-foot quantities to fit your unique project. For projection projects that require a more solid touch, our rigid acrylic screens do just the trick. Using the same basic properties as projection film, a rigid acrylic screen can be mounted or hung virtually anywhere. We have a variety of standard sizes you can select from, and are able to fulfill custom orders as well. Please talk with a representative if you are curious about the custom options available. Do you want to get more efficiency out of your projector bulb? Having issues with overheating? 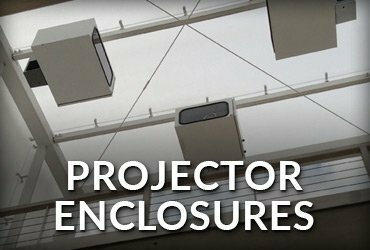 A projector enclosure can drastically improve the operating conditions of your projector for years to come. With our wide range of weatherproof and air-conditioned options, you can put a projector almost anywhere. Home theaters, nightclubs, and even car washes are all options with a projector enclosure. Through-glass and window displays are fantastic marketing tools, but too often suffer from crippling glare. Applying anti-glare film to the outside ensures a smooth and glare-free viewing experience. Anti-glare film applies exactly like projection film, and can be useful for multiple display types. We offer multiple standard sizes and by-the-foot increments to fit your project's needs. Having an interactive display gives an extra layer of appeal, and has never been easier to implement. A capacitive touchfoil can turn any glass or acrylic surface into a completely interactive application. 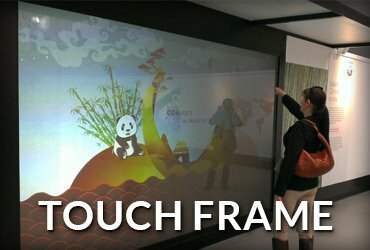 We offer multiple levels of touch interactivity to fit your project. Choose to allow just 2 or all the way up to 40 unique points of touch interaction! Any type of display can benefit from the addition of a touchfoil. When an interactive display needs to be as discreet as possible, a touch frame is the perfect solution. By mounting the device around the edges, touch input can be pinpointed using hidden infrared sensors. Touch frames can work with virtually any display material, including metal! We also offer multiple levels of touch interactivity to fit your project, from 2 or all the way up to 40 unique points of touch interaction. 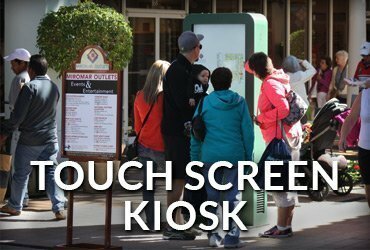 An interactive kiosk allows you to engage your customers from virtually anywhere. Outdoor plazas, busy shopping centers, or large office spaces are now all prime marketing locations for your brand. 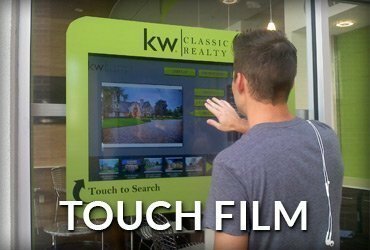 Interactive kiosks can be used with an existing software application, internet browser, or photo slideshow to highlight your custom content. We provide a variety of sizes, as well as both indoor and outdoor options. 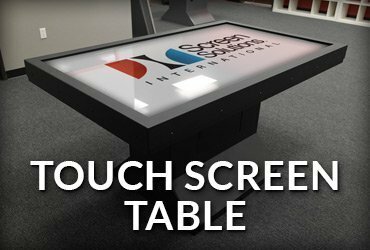 If your meetings need a more interactive approach, an interactive touch table can provide what you need. 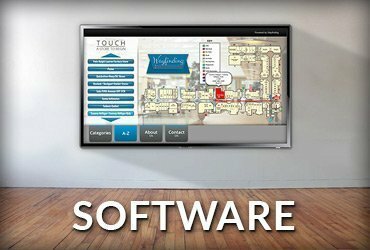 With up to 40 unique touch points, multiple users can engage with the display simultaneously. There are multiple sizes available in several formats. We offer single as well as dual monitor options, and can accommodate custom requests. Talk with a representative to learn more. Our warehouse inventory lets us keep several items in stock regularly. As soon as we receive your order, we check to see if we already have what you need so it ships as soon as possible. SSI offers a quality and workmanship guarantee on all products we offer. Our team believes every project deserves quality service and thorough attention to detail every step of the way. 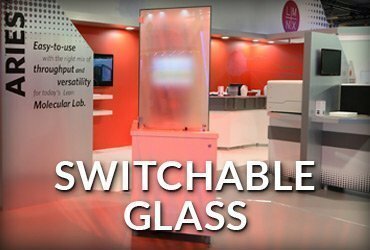 For permanent displays with a functional purpose, switchcable glass can be an enormous asset. Intrigue your patrons with a display that can be transparent or opaque at a moments notice. 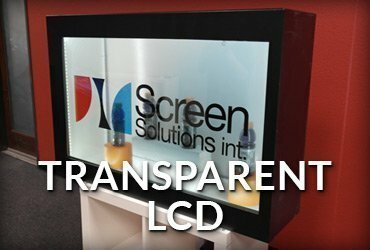 SSIScreens.com offers both solid panels and film versions to suit your display space. Custom options are available, so talk to a representative to find out more about what has worked for projects like yours! When marketing physical merchandise, good presentation is a must. With a transparent LCD display, you can take your product showcase to the next level and truly WOW your audience! Whether it is promoting your product's features or integrating other marketing media, a transparent LCD display gives you a wealth of options. Talk with a representative to learn more about our custom options. Digital display technology isn't just good to look at, it is good to be a part of too! 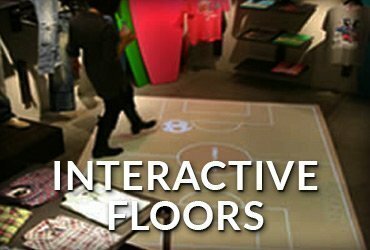 Interactive floor systems provide a unique way to engage your audience in a way they would not expect. Perfect for tradeshows, waiting rooms, and more, having an interactive floor gives your customers a full-body experience with your brand. We have multiple software options available to fit a variety of uses. To truly utilize digital display technology to the fullest, you need software that goes with it. We have extensive experience with software design and implementation to complement your hardware. With multiple offerings for a variety of industries, our team can find the right package for you. Call us to find out more about what options we have available. Every digital display has something to offer, but there is always room for improvement. Having accessories to augment the experience can turn a good project into a great project. 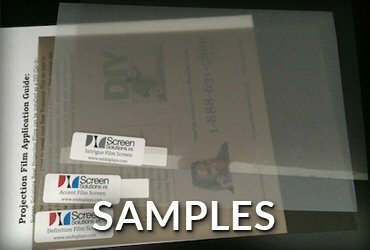 Whether it's an application kit for your projection film or window speakers to create a multi-sensory experience, SSIScreens.com has you covered. Check back often to see new additions that may benefit you! Bring an interactive real-estate experience to your office window! 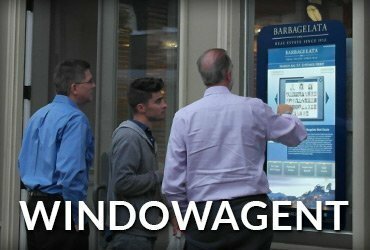 WindowAgent is a personalized software application that creates a portal to your listings virtually anywhere! Multiple hardware and software options are available to fit your needs and budget. Our newest product, Digital Lightbox, provides a dynamic showcase for your Featured Listings specifically. 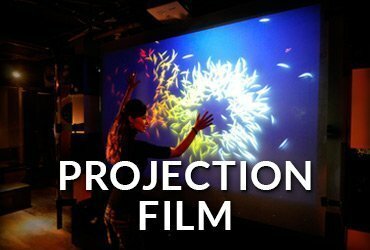 Not sure if a projection film or screen will fit your needs? Try it before you buy it by ordering a sample pack! Our samples are always free of charge, just pay shipping and handling. We are certain of our product's quality, and encourage you to experiment. If you would like additional recommendations, our team has over a decade of installation experience that we'd love to share with you.